Luxe 3 Bed 3 Bath halfvrijstaande villa met dakterras. 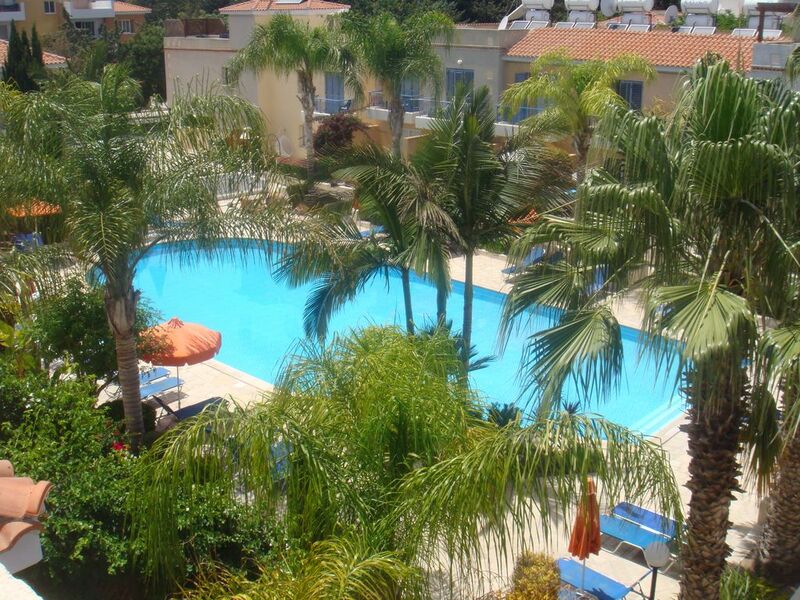 Dit volledig ingerichte villa is gelegen in een aangename woonwijk van Kato Paphos (Universal gebied). De villa ligt op loopafstand van zowel de oude haven als het winkel- en entertainmentgebied. Afgewerkt tot een hoge standaard, de villa beschikt over een grote eigen patio met schaduwrijke dek aan de zijkant van het pand, het heeft ook een dakterras op het zuiden, dit heeft een tafel met 6 stoelen. De drie slaapkamers zijn voorzien van inbouwkasten, slaapkamer 1 is een tweepersoonskamer met eigen badkamer en balkon, slaapkamer 2 & 3 zijn een tweeling (een met balkon). Er is een familie badkamer en een beneden met douche. Alle slaapkamers, samen met beneden woonkamer zijn voorzien van airconditioning plus plafondventilatoren voor extra comfort. Lounge bestaat uit twee banken. TV, Sky-programma's, WiFi, Xbox voor de game en films een selectie van DVD's, CD's en spelletjes voor uw gebruik. Eethoek heeft een tafel met 6 stoelen. Ingerichte keuken heeft een kookplaat, een fornuis, magnetron, grote koelkast met vriesvak en wasmachine. Openslaande deuren leiden naar een groot gemeenschappelijk zwembad. THE VILLA IS LOCATED NEAR TO EVERYTHING (THE BEACH, THE MALL, WATER-PARK). THE VILLA HAS EVERYTHING YOU NEED, THE POOL IS WONDERFUL, AND THE OWNER ARE GREAT. This villa was absolutely lovely, great location, ideal for families or in our case 5 adults. Myself and my family stayed at this villa for 19 nights. The villa was very spacious, clean and well presented. It’s in a great location and the pool is just steps away. We loved our stay here and would recommend it to anyone. The owners have thought of all your needs in the villa. Thank you for letting this to us. I glad you and your family had a fantastic holiday. We arrived at Midnight that evening so we were hoping that everything was arranged and sorted Bernice had been very clear and helpful and we found the Villa straight away and were pleased with what we saw at that time including Air Con!. The next day proved even better, having a good look round everything was perfect, there was more than enough of everything to suit us and our four Teens/Twenties kids. Bernice and Russell have thought of everything. It was immaculately clean with enough seating, cutlery, sunbeds etc to suit our needs. My daughters enjoyed the rooftop terrace for private sunbathing making regular use of this, and we ate our evening meals on the roof terrace as it was cooler in the evening sitting there looking at the stars, fantastic. When using the pool we never had the issue of not enough sun beds, and it was like a bath! spent many happy hours on a lilo in the pool. The only thing we did find was that we did need a car as the Port/Beach/Restaurants were a little further away than we thought and if you wanted to go to the larger supermarkets (Lidl) and not the small one close by you needed a car. This wasn't too bad as we had hired a car anyway as we did a couple of trips, one to the Tomb of the Kings, and Aphrodites Rock (lovely beach here). The nice thing about being a little bit away from these of course is that it is nice and quiet when you are in your villa, which if you want peace and quiet this is perfect. There is a Tasty little cafe at the end of the road which serves great Ice Cream ! We had a truly amazing time the villa was everything we hoped for and more and we loved Cyprus, we would definitely recommend this to our friends and family. We arrived back at 3:00AM this morning after an absolutely Fantastic week, all five of us LOVED the Villa and everything about it. It was so clean and had everything we needed. AirCon was very and we needed it, so hot and humid, unusually so we heard. There is EVERYTHING you need in the villa, it really is so well equipped. The three bathrooms came in handy with 4 women on our party. The roof terrace was a lovely breezy place to sit on an afternoon and with the breeze and the heat, drying of laundry literally took about 10 minutes. The patio area was a lovely place to sit for breakfast and for night time drinks. Very quiet by the pool and on a night. There was always a friendly Security Guard strolling through the complex a few times of day and night. We found Tasty, next to the villa handy for snacks and amazing ice cream. The Amazon Supermarket is very closed and quite well stocked. All five of us are looking to come back for 10 days in June next year, we enjoyed it that much. We even passed your email address to a couple we met there who were in a hotel but loved the sound of your Villa from our descriptions so you might get an enquiry from them! Once again many many thanks for the loan of the Villa, it was great. Absolutely brilliant accommodation which has everything you need. Patio gate opens onto pool which is lovely and warm. Great communication with owners for easy booking. Base for a great time! We, 5 adults, 2 teenagers and 2 kids, had a wonderful time and felt at home in the beautiful villa in Cyprus! We all loved the house and the island! We rented cars and went around to shop, see and explore! We always went to different beaches and one day at the water park- to make the kids even happier! We walked to the harbour and the shops, but took the car for groceries! Every day coming home to the house and the pool was simply great! Calm and beautiful place! Full booking details will be forwarded upon request. A non-refundable deposit of £100 per week is due upon booking. A £200 refundable security deposit is also required. (Returnable after holiday inspection) The balance is payable 8 weeks prior to commencement. Preferential rates will be considered for long-term letting.